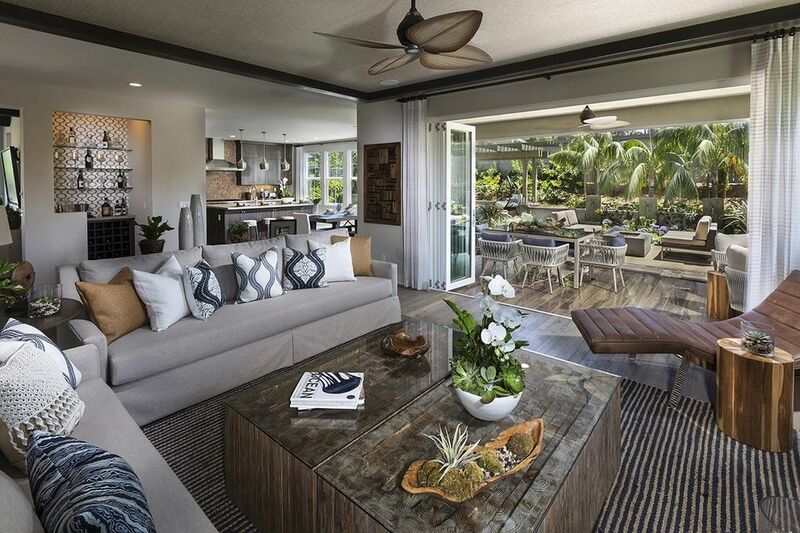 Model home at Lanai appointed w/high end finishes, fixtures & designer upgrades in custom neutral palate is the dream. 2 story, 4 BR, 4.5 BA + attached private upstairs suite w/1 full BA & kitchenette. Main gathering room w/cascading wall of glass opens to covered veranda w/fireplace, dining room, lux MBR suite w/deck, upstairs laundry room & 3 car garage. Endless builder upgrades in this stunning home. Professionally designed landscaping. Truly a joy for entertaining & every day family living. Read Supp. Directions: From I-5, exit Las Flores, Left on Pio Pico, Left on Lanai Ct.